Party Wear Long Shirt Dress Collection For Girls By Kukoo’s have a luxe appeal with lustrous sequins and punchy prints.All dress are in print form with high quality. 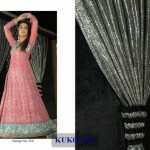 Kukoo’s dress collection include Long shirts , Tight, salwar kameez, trouser, and pajama. 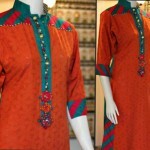 This entry was posted in Dresses and tagged Drees By Kukoo'S, Dress Collection, Haji Sharif & Sons Fabrics, Kukoo'S Latest Collection, Kukoos Collection For Girls, Kukoos Latest Dress, Kukoos Long Shirt Dress, Kukoos Party Wear, Long Shirts, pajama, Salwar kameez, Tight, Trouser by Style Cry. Bookmark the permalink.